Early Tuesday morning, two explosions occurred at Brussels Airport, creating panic at the busy facility, Reuters reports. Belgian news agency Belga said shots were fired and there were shouts in Arabic before the blasts went off. Local police have been on alert since the capture and arrest of Salah Abdeslam on Friday, one of the alleged Paris attackers who had been in hiding in the city. Update: A series of coordinated blasts in Belgium, two at the city's key airport and another at a busy subway station, are thought to be terrorist attacks. At least 25 people are believed to have been killed. The airport blasts were caused by a suicide attack, Belgian federal prosecutor Frederic Van Leeuw told local broadcasters. Some Sky News reports from the scene have mentioned terrorism — perhaps a reprisal for Abdeslam's arrest; that has not been confirmed by authorities. The blasts occurred in the American Airlines departure area. Video from social media showed a devastating scene inside the terminal with the floor covered in debris. The Belgian government has confirmed there were casualties; as many as 13 were reported killed and up to 35 severely injured. An airport spokesperson confirmed the two blasts and said first responders were on the scene to provide medical assistance to the wounded. The authorities said the blasts had caused several injuries, and some injured travelers were shown on social media at the scene. The airport's rail station has been closed, flights are grounded, and travelers have been urged to stay home. Eyewitness reports on social media showed broken glass in the departures hall and smoke rising out of the building as travelers fled the building. Sky News correspondent Alex Rossi was in the duty free at the time of the explosions, just after 8 a.m. local time. "I could feel the building move. There was also dust and smoke as well ... I went towards where the explosion came from and there were people coming out looking very dazed and shocked," he told the network. Just two hours after the blasts at the airport, at least one more hit the Brussels metro system. The cause remains unknown but another 10 are feared dead, according to a report from Sky News. 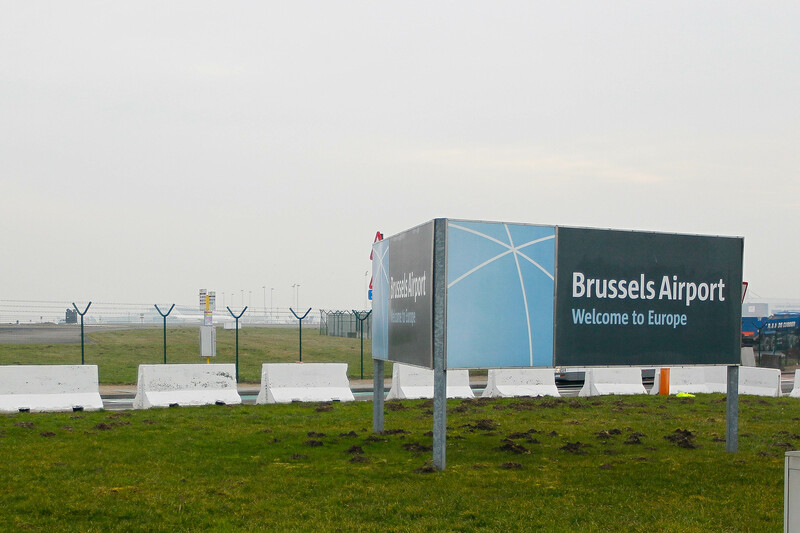 All flights and trains headed to or from the Belgian capital have been cancelled. Public transit has also been shut down, and authorities have asked residents to stay home or inside.